Penetrates deep, and hardens decaying wood to give a solid base for wood filling. For interior and exterior use. 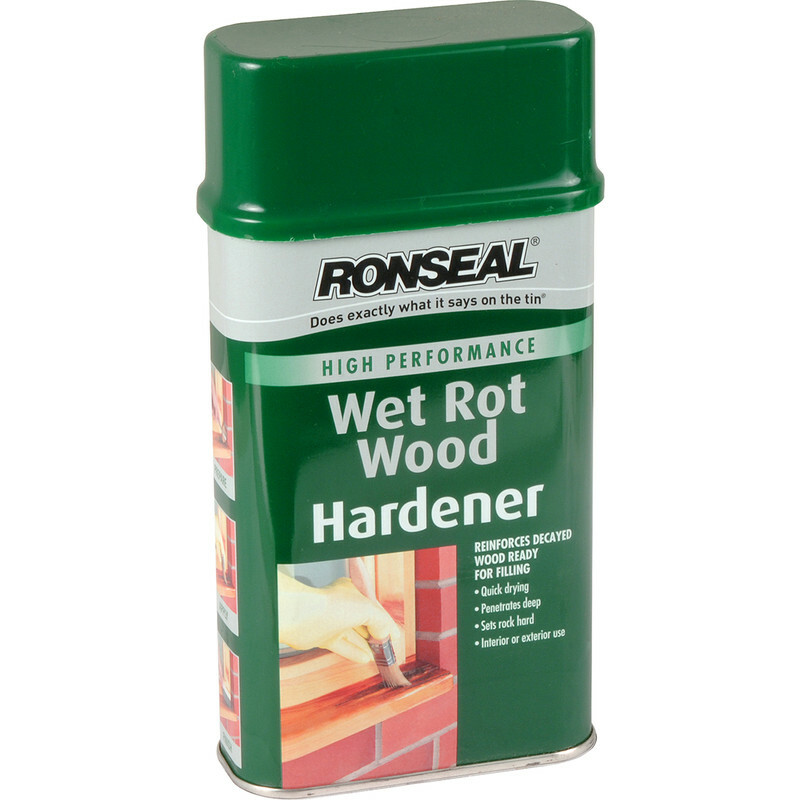 Ronseal Wet Rot Wood Hardener 500ml is rated 4.9 out of 5 by 31. Rated 5 out of 5 by Meester Chris from Does the job well Pity is so expensive as we are on our 3rd can. But it does harden up wood and we have a lot of rotten wood on our heritage railway. Rated 5 out of 5 by Phil0001 from Does what is says on the tin I salvaged a piece of door frame that looked un-salvageable. Definitely happy. Rated 5 out of 5 by Tony1458 from Very good I does exactly what it says on the tin, no kidding. Rated 5 out of 5 by Gooordy from Excellent product This product has proved very difficult to get hold of. Toolstation was the only store which had it in stock - I have no idea why. As for the product, it's excellent and turns rotting and weak wood back into its solid state. Rated 5 out of 5 by Palantir from Works Well This product really works when used as instructed. I repaired a portion of rotted wood in a door frame by using this & some two part Ronseal filler some seven years ago & it is still perfect. This purchase was to replace the can I had just finished - like to have some on the shelf, just in case.